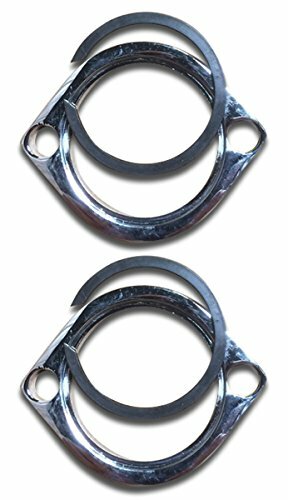 Ultima Exhaust Flange Kit with Retaining Rings for Evolution¨ Big Twin 1984 & later, and Evolution¨ Sportster¨ 1986 & later. Twin Cam¨ models Ô99 - present. 2 Retaining ring. OEM 65325-83. 2 Exhaust flange. OEM 65328-83. If you have any questions about this product by Ultima, contact us by completing and submitting the form below. If you are looking for a specif part number, please include it with your message.